Much as we love Felicia Day, there's no denying that 'Supernatural' veered the Impala off the road into one of its sillier hours in this past week's "Slumber Party." 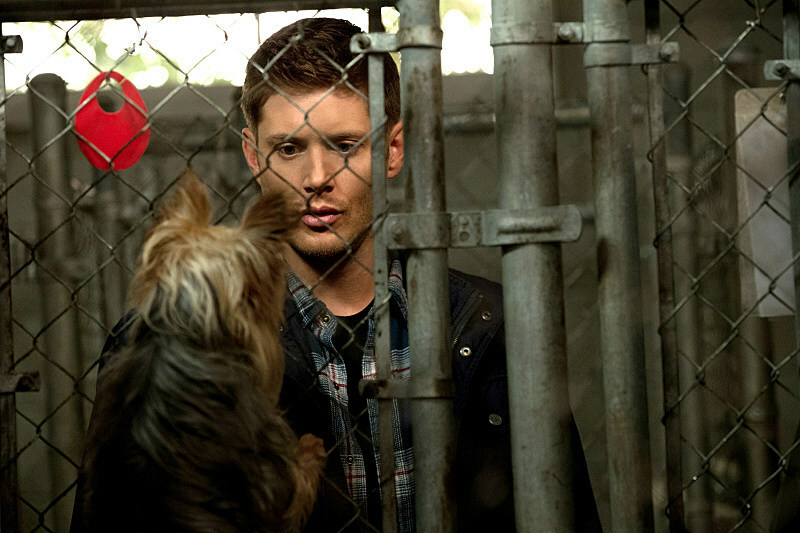 That said, the long-running CW drama looks to get even more ridiculous with next week's "Dog Dean Afternoon," judging by the first photos and clip from the canine-centric episode. 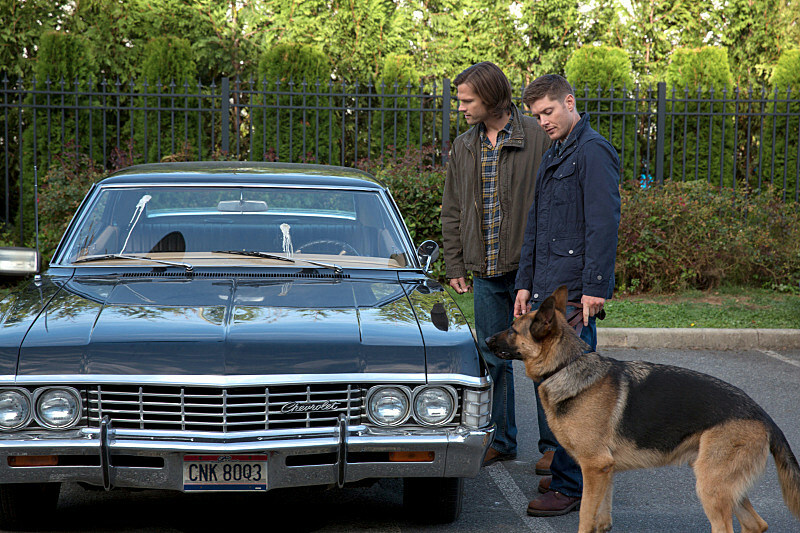 It looks like Sam and Dean will literally have their hands full with a new canine companion, judging by the first photos from "Dog Dean Afternoon," a well-established pet peeve for the elder Winchester brother. Meanwhile in the first clip from the hour, Dean faces down another one of his worst nightmares: a vegan bakery (and bad green-screening). DOGGIE DEANLITTLE - While investigating two bizarre murders, Sam (Jared Padalecki) and Dean (Jensen Ackles) realize there is an eyewitness to both gruesome deaths - a German Sheppard. 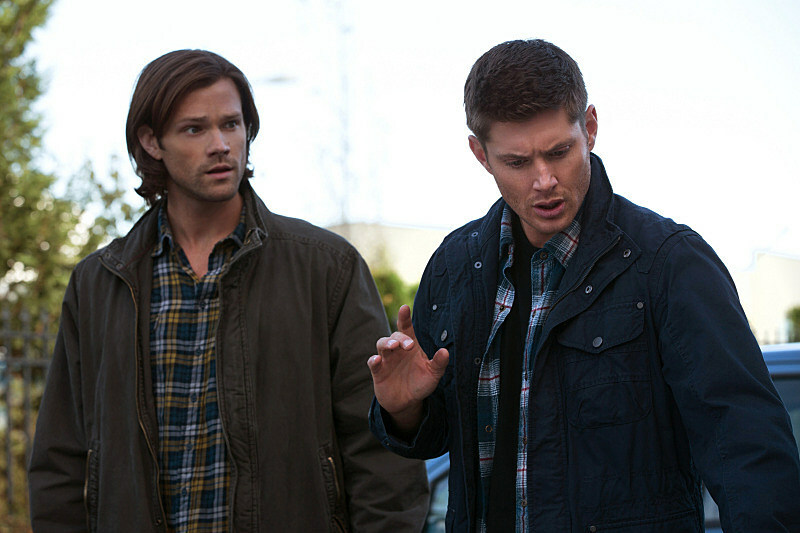 Anxious to find out if they are dealing with a witch, a skinwalker or other supernatural monster, the guys look up a spell that could let Dean "communicate" with the dog. Unfortunately, the spell comes with side effects that no one saw coming. Yikes. In any case, you can check out the photos and clip from 'Supernatural''s latest above and below, and tell us in the comments if you think the series has truly gone to the dogs!